Surprisingly, this is the first race that I've reviewed for Kona that had shortfalls in it. It was not a bad race but it was not a great race and I've always used Kona races as a standard for how things should be done. Unfortunately, I can't say that for this race. I loved the finish on the track, the start was ok(parking lot?) and the course was alright and needs improvements. While I'm sure I was in the minority, I like running on dirt roads because of the softer surface but potholes throughout made it quite difficult to run. I think with some needed changes, they can make it better and bring it back to the Kona "standard" that we all love at their races. Most of the issues are easy fixes but the biggest for me is the course and that needs to be changed before I'd run it again. Registration is very simple. 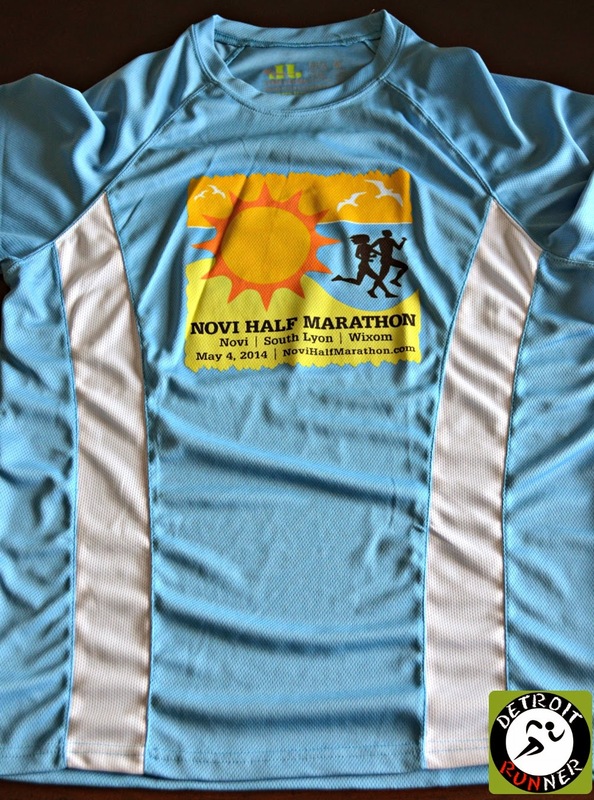 Sign up on the Novi Half marathon website and get signed up. Since my entry was complimentary for this review, I mailed in my entry. Runners also can mail in entry as well but online sign up is so easy with Kona as it is with most races these days. The race offered a couple options for packet pickup including pickup the day before the race and also race morning. I tend to volunteer for packet pickup but was not able to this weekend. Because of this, I picked up my packet race morning. 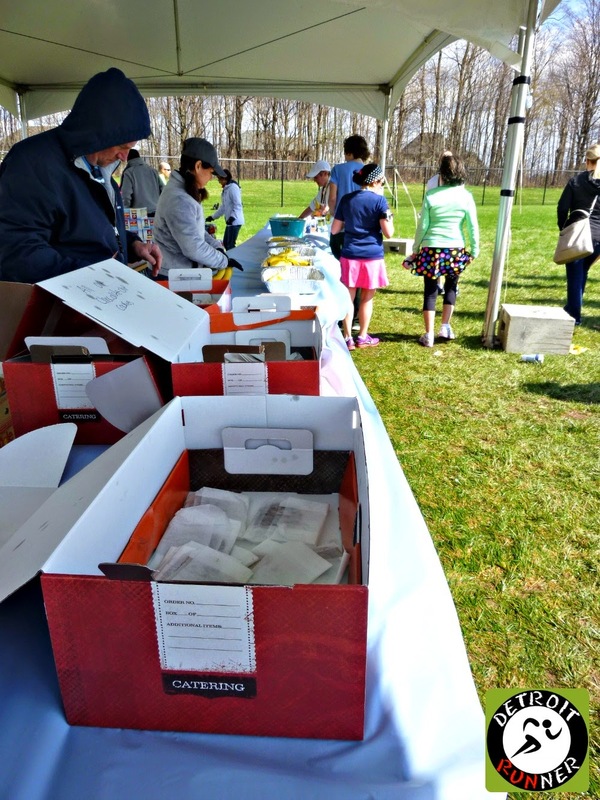 The pickup was located at South Lyon East High School which is a great venue for packet pickup. It's also the start and finish area too so it makes it very convenient. I got to packet pickup when it opened at 6:30am. I wanted to be able to park in the school lot instead of taking a shuttle the race offered to another lot a couple miles up the road. I was one of the first runners there so parking was very easy. One of the biggest things I've learned is that if you don't want to use the shuttle, go early. Simple enough. 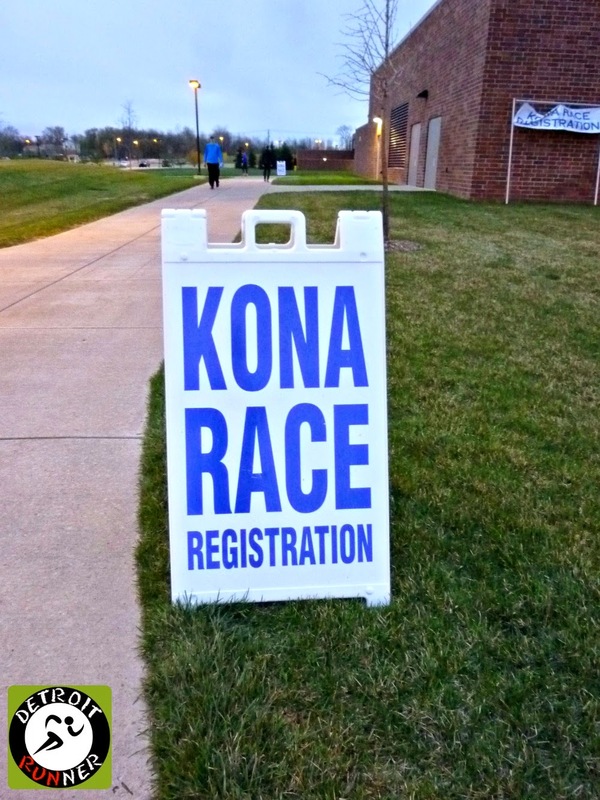 Kona had their typical set up in the school gym and I said hello to Jill, the co-race directors wife who was working the Kona store. 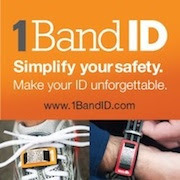 You also had the ability to register race day if you chose to. As you can see, nobody was there yet but it did get busier as time went on. I literally got my packet in 30 seconds and went back to my car to wait for the race. About 15 minutes before the race start, I made my way over to the starting area. It was a short walk from the parking lot I was in and was really easy. On my way to the start, I walked right next to the stadium and saw where we were going to finish. The start area was well organized but really nothing special starting in the parking lot. I guess I've been spoiled with Kona's downtown finish in Plymouth or the Horse Track in Northville. They did the National Anthem and we were ready to race! The course was a mix of pavement and dirt roads. I had no goal for the race except to finish under 2 hours to keep my road race half streak of all half marathons under 2 hours. Mission accomplished. I'm happy that was my only goal because my legs have been pretty tired from a half last weekend and a 5k on the Friday before this race. Overall the race is a flat and fast course except for parts on the dirt road were difficult to navigate and made for a little slower go. Of course, we started off pretty fast at the beginning but then I got into my groove a little better. Things were not overcrowded at all and felt good right from the start. The number of runners running kept if comfortable. The race was much smaller than their other races but this was the inaugural year so expected to be smaller. Below you can see the runners ahead of me on this longer stretch of a road before we got into the subdivision. Before the subdivision was a short dirt road. As we ran that, it was apparent the race was out there fixing potholes for the runners. Wow! I couldn't believe it. I was not sure how long the dirt portion was but they had much of this road pretty clean of potholes which was nice on the part of the race. It had also rained yesterday so the road was wet in places but the race put some caution cones up for us. We then made a turn out off the dirt road and back onto pavement. This area here was really strange because we didn't get any direction from the police or marshal who was right there as to which side to run on. Consequently, there were runners on both sides and it was confusing. While there was police on both ends of this section as well, it seems there needed to be better direction here to keep runners safe. It was a short portion and before you knew it, we were running into the subdivision. The subdivision was gorgeous. I liked running in there and while it was not completely flat, looking at the homes kept your mind off running. Soon we saw runners coming back around from the loop that they just ran and where we were headed. Keep in mind this road was not closed to traffic and we were using both sides of the road which could potentially be a problem. As we continued and came out of the loop, we saw 10k runners(looked like the top ones) also running in the same direction. While there were some cones up, there should have been a course marshal right here(in the picture below) to keep runners informed what to do. You'll see a marshal in the second picture but he was not announcing anything as we passed so we just followed the other runners. Since this was open to traffic, it may have even been a good place for a police officer to help keep the runners safer. I had caught up to Karly and we chatted for a little bit but she was on a mission and I slowed down. As we came out of the subdivision, we passed a nice lake with a good view. It was a nice part of the course and wished we had more scenery like this on the course. We continued on the bike path as we hit mile 4. There was also a port-o-potty just ahead of it as well if you needed it. Shortly after we were back in a subdivision. I saw a police car but no sign of a police officer. We continued running into another really nice subdivision. The homes were huge! The course had a few spectators here and there but was fairly sparse overall, not that I was expecting huge crowds for a half marathon this size. The subdivision also has a nice beach on the lake. Wow - what a nice place to live! We turned out of the subdivision and headed down the main road. As you can see, there was a police officer there helping direct things this time. Then we made a turn back onto a dirt road. We had several miles of running on the dirt roads(about 4). I actually like running on the dirt roads because they are easier on your legs but man, there were a TON of potholes. This portion of the race was not touched by the race as opposed to the other road that was fixed. I heard complaining from other runners about how the race should have grated the road. It would have been way too much work to fix them all and frankly, I would not expect it from a race. Just like when I ran the Super 5k in February and it snowed the night before, I did not expect the roads to be plowed of snow. These issues are City/County issues and not races. The country roads are something I don't get to run that much which is why I like it but after running a few miles on them and dodging the potholes, I was looking forward to pavement again. Unfortunately, we have had a hard Winter and it really did a number on the roads. Finally we were back on pavement for a short time as we passed the 10 mile mark. 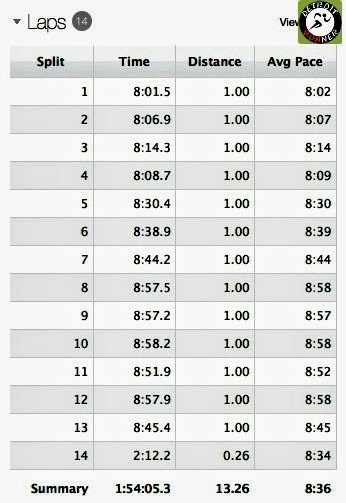 The race also had a 10 mile timing split too which is a nice feature. Frankly, as I was running and didn't see it at the half way point, I wondered if there would be a split at all so was happy to see it. Then.......it was back to the potholes. Now of course it's not the races fault for the poor road conditions but the only solution I can see from the races perspective is to change the course to remove the dirt roads. With the race being in the Spring, chances are good there are always going to be potholes on dirt roads after Winter. Dirt roads again - watch it! The race also needed some course marshals on this road too because it was open to traffic and you had runners running in both directions. You can see a couple cars below, ahead of me and these are not parked, they are driving. They were going slow but it was still not a safe situation and there was even a runner in front of them that passed the cars because, of course, we were running a race. Finally past mile 12, we got back on the pavement and made our way back towards the High School. Just before the High School, there was a small hill to climb. Hey - it can't be all flat, right? The course had cones directing us onto the school property. It appeared to me that this race had quite a few less course marshals that the other Kona races yet was the longest distance they have offered. We moved around the school drive heading towards the football field. You can see below the cones are directing our way to the finish. Just before this, it was a little confusing where to go but when I saw the cones below, I knew where to go. As seen below, as we almost got to the field, the race should have marked off the course here much better. It was not clear where to go and there was no marshal to direct us. In addition, with people all over the place who had already finished, it should have been marked better to make it clear where the course was and help to keep spectators off it as well. Of course, once you got onto the track, all you had to do was follow that to the finish, and that is exactly what I did. The race had a timing mat as you got onto the track and it alerted the announcer to announce your name - I love that feature at the finish. There were more than enough aid stations on the course and all the volunteers were awesome. The race offered water and NUUN at the aid stations. NUUN is like a Gatorade except without the sugar. I've actually trained with it before(and reviewed it a couple years ago HERE) and it's really good but it's not well known so I'm guessing many runners would not try it unless they trained with it. What I was really surprised to see is that the race had no nutrition on the course such as GU or ShotBloks. While it's not something I use for a half marathon or lower distance, the majority of half marathons I've run offer something at least once or twice. The management needs to understand this is a half marathon and not a 10k so most runners need nutrition for this distance and NUUN is not enough. There was also an aid station out on the dirt road which we passed twice. The issue here is that it should have been set up on both sides. While the road is not very wide, what I've seen races do in this circumstance is have a table on the correct side but a little sooner as we pass it. Because there were not any runners coming opposite us at the time it worked ok but had there been runners coming, we could never have gotten anything to drink. In addition, the road is open to traffic making it unsafe to cross the road for water. A stadium finish is always awesome and really fun. Originally the race advertised the finish was going to be on the 50 yard line but they changed it to the track. We finished near the end zone of the football field and were given our medal as we finished. Because the food tent was on the other side of the field, we had to make our way back to that side and volunteers were directing us where to go. You can see the cones below directing us that way as well. 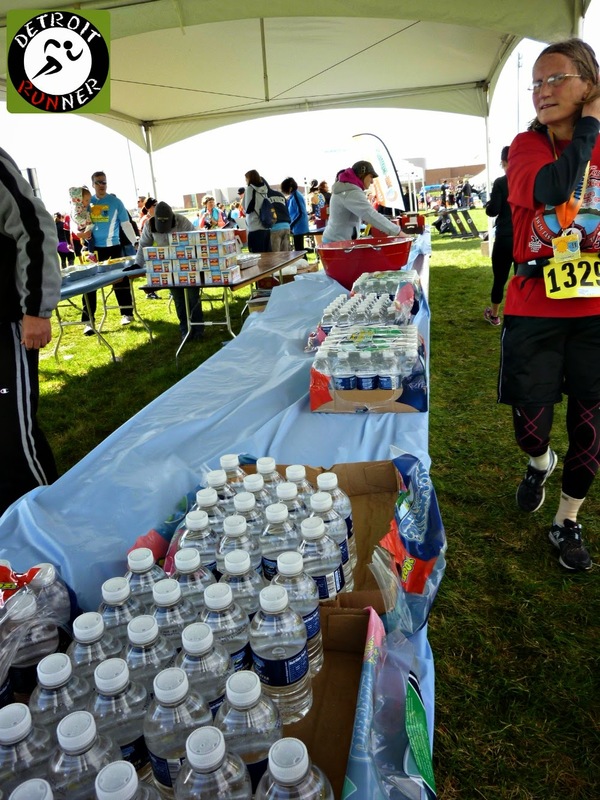 As we got to that side, there was one more aid station(after the finish) with water and NUUN. Below, you can see where we had to walk back to in order to get water and food. I'm not really sure why it was there when we could have finished and gone right up the steps to an area that would have fit the food and been close to the parking lot. The logistics were just not right. The food tent was well organized and the race was also offering massages too. In regards to food, they had Panera Bread cookies, bananas, a granola bar and water. Given the half distance, I expected there to be more or different food. While I love the Panera cookies, I think most people, including myself, want a bagel or something more filling after a half because it's more substantial and we need to get something in our stomach. It was a little disappointing even though I love the Panera cookies! The race had race results posted as well as the age group awards next to the results. I also got to see some of the SEMR and Team Ignite crew and so we got a group picture by the finish. The below picture gives a better illustration of the finish line set up. If they had moved the food/water to the other side, it would have flowed much better in my opinion. From where I took this picture, there was space close to fit it all and be near the parking. The school also had the real bathrooms open which was nice not to have to use the port-o-potty if you didn't have too. Always a bonus! For your race entry($55-65 depending on when you registered), you received a chip timed course but was fairly open to traffic. 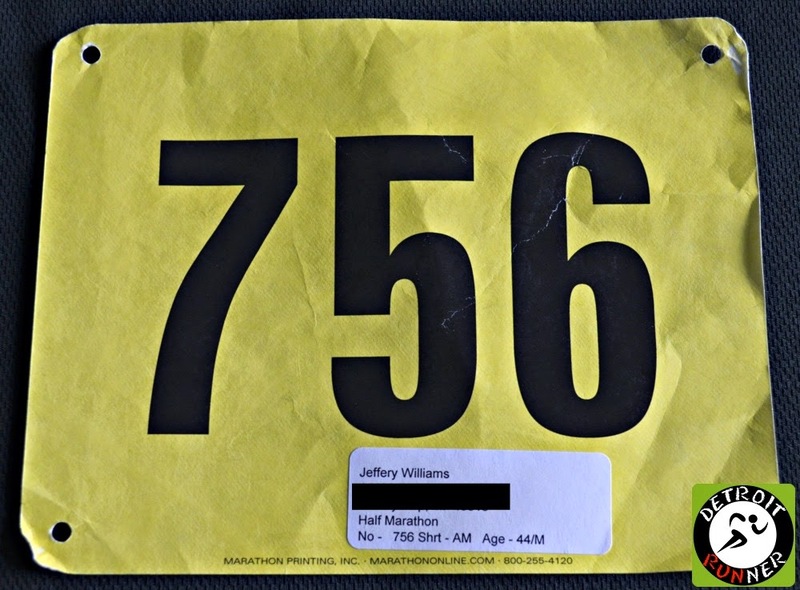 I was surprised to see the race bib just be a plain bib and there was no QR code on the bib. The QR code is starting to be the standard for race results. Every race I've done with Kona over the last few years has had the race name on it and I was surprised this one was plain. 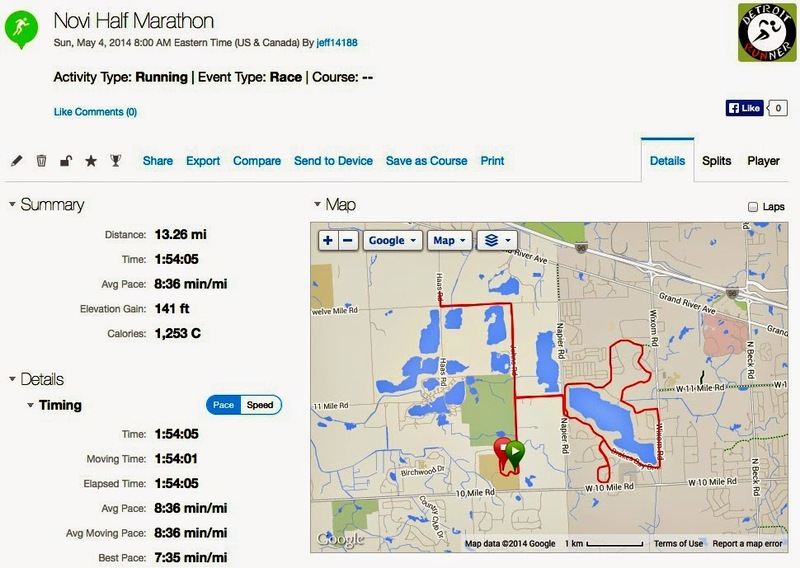 While I'm aware it likely saved money, this was their introduction into the half marathon distance and they didn't use their typical standard they have used with their other races. First impressions are everything! 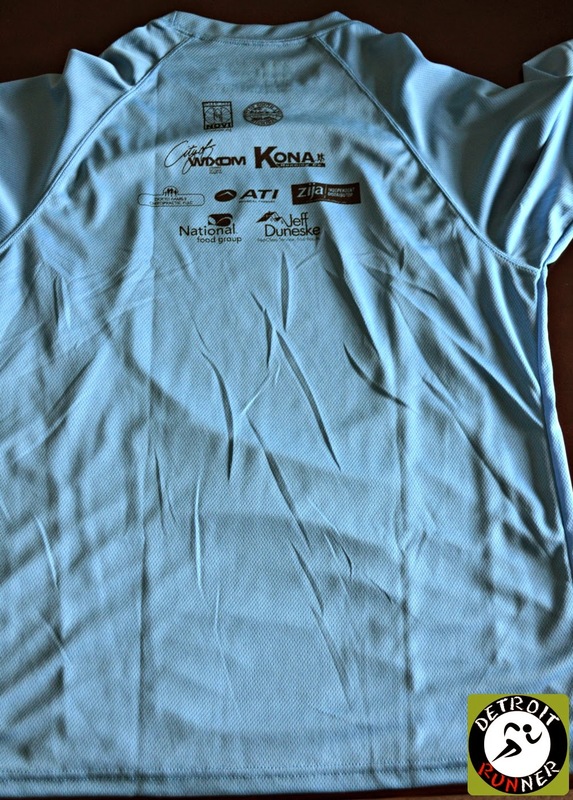 You also received a Leslie Jordan race shirt. While it's similar to the shirts Kona offers, this one is a new color and a color I don't have so it will get worn during training. You also received a race medal. Of course, Kona has always done a great job on these and the size/quality for a half marathon was good and similar to their other races. It seems given the tougher half distance, the medal should be slightly larger or the 10k medal should be smaller to recognize the half accomplishment. 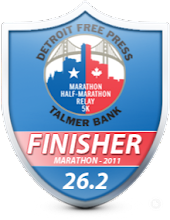 While the ribbon was also custom, it only said finisher on it. It's better than being a plain ribbon but I like it better when they put the race name and/or date on the ribbon. If you are going to customize it, you might as well do it nicely, right? It was clear in this race that management was not as organized as all the other races I've run with them. I've always put Kona in the top category when it came to race organization but this race clearly lacked some things they do in their other races. They needed many more marshals out on the course to keep runners safe. They should have offered nutrition on the course. They should have organized the finish line area better so runners didn't have to walk back and forth. While I don't think it's the races fault for potholes, they need to think about this being the course if that will be the condition of the road. 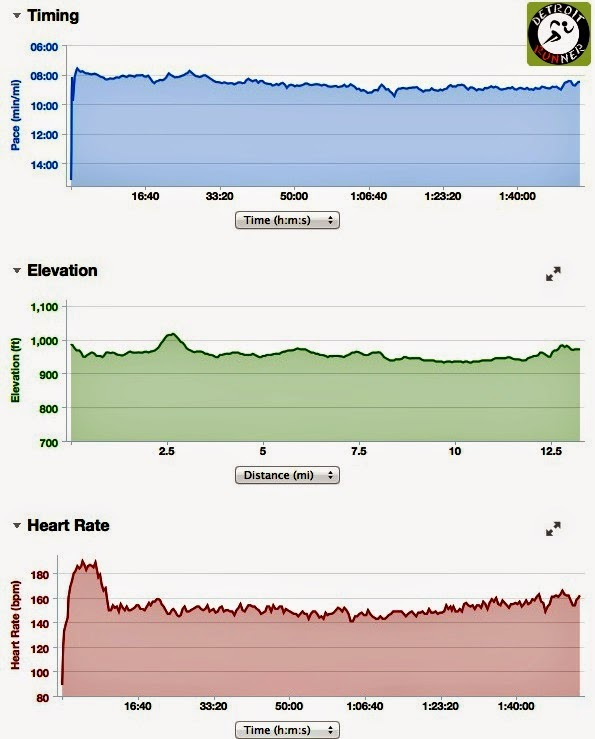 There are runners that will not want to run this course again just because of this. They should have put the race name on the bibs to make it a nice bib. Overall, it is a race that needs numerous changes to make it much better and bring it up to the "Kona" standard. The biggest one for me is the course. They need to change the course and get off those dirt roads. This race certainly didn't represent the races I'm used to seeing out of Kona. Unfortunately it's not a half going on my top list which is disappointing because I love Kona races so much! First impressions are everything for an inaugural race and I was completely surprised at some of the choices made for this race. Given this was their introduction into the half marathon, I expected a world class event that Kona has come to be known for in this area and this wasn't it. The race co-director, Alan Whitehead, from Kona Running Company, called me yesterday afternoon to explain that they have already started planning to make some changes to the race for next year to address the issues. The biggest was changing the course to remove the majority of the dirt road portion. I think that will be a welcome change for everyone. He also said the food would be moved over near the parking area so that the finish flowed better and that they would have more course marshals out on the course. 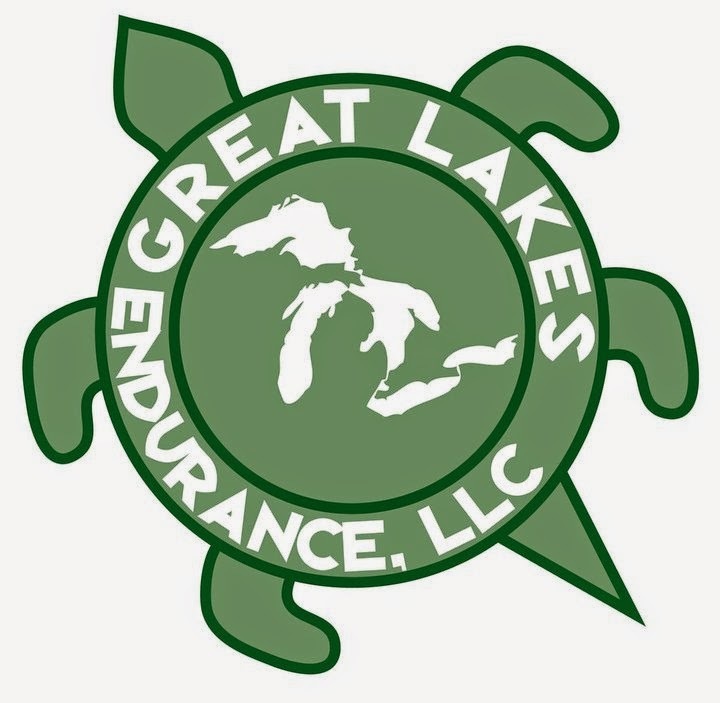 In regards to the potholes, they tried to contact the Oakland County Road Commission to get the potholes fixed but they were not successful and spent hours to fix a portion of the dirt road. I know many think that a race organization like this has some pull but the road commission did not have it in the budget to fix something for a one time race. I appreciated the fact that he even called to give me some feedback since most not every race director will give me this feedback. This is what makes a good race director! Learn from your mistakes and improve! Did you run it too? Give me your thoughts. Disclosure: I received a complimentary race entry in exchange for this review. All opinions are my own and I was not required to give a particular opinion except an honest one. Very detailed race review, Jeff! I agree with you about the dirt roads and I'm even a trail-lover myself. The potholes were out of control and very unsafe. I was glad to read that they're looking at changing the course to get it off the dirt roads for next year if they can't count on pothole-free roads. My biggest concern was with the end of the race. I was really disappointed with that run around the outside of the track. There were so many spectators and 10k finishers walking BACK on the course. Runners shouldn't have to bob and weave in the final stretch of the race! I also agree that the food should have been somewhere else and runners should have been funneled away from the finish line in a different way instead of back toward the course. Logistically it was all wrong. I won't likely do this one again. Personally, I'm not a fan of Kona anyway! haha.